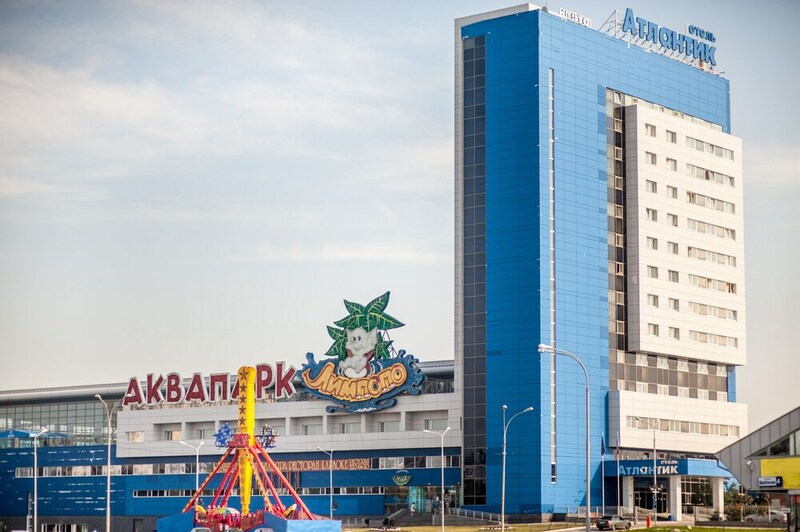 Located in Yekaterinburg, Atlantic by Usta Hotels is in the entertainment district, a 1-minute drive from Water Park Limpopo and 9 minutes from Chinese Consulate General. This hotel is 2.2 mi (3.6 km) from Megapolis Shopping Center and 2.6 mi (4.2 km) from P.P. Bazhov House Museum. Make yourself at home in one of the 125 air-conditioned rooms featuring minibars and flat-screen televisions. Complimentary wireless Internet access keeps you connected, and satellite programming is available for your entertainment. Private bathrooms with shower/tub combinations feature deep soaking bathtubs and complimentary toiletries. Conveniences include phones, as well as desks and complimentary bottled water. Enjoy a meal at the restaurant, or stay in and take advantage of the hotel's 24-hour room service. Buffet breakfasts are available daily from 7:30 AM to 11 AM for a fee. Featured amenities include express check-in, express check-out, and complimentary newspapers in the lobby. Planning an event in Yekaterinburg? This hotel has 1076 square feet (100 square meters) of space consisting of conference space and a meeting room. For a surcharge, guests may use a roundtrip airport shuttle (available 24 hours) and a train station pick-up service.